A W-O-N-D-E-R-F-U-L account and that’s no wonder that it’s followed by 186 000 people! Inspiration is necessary for everyone, especially when the discussion turns to home and interior. 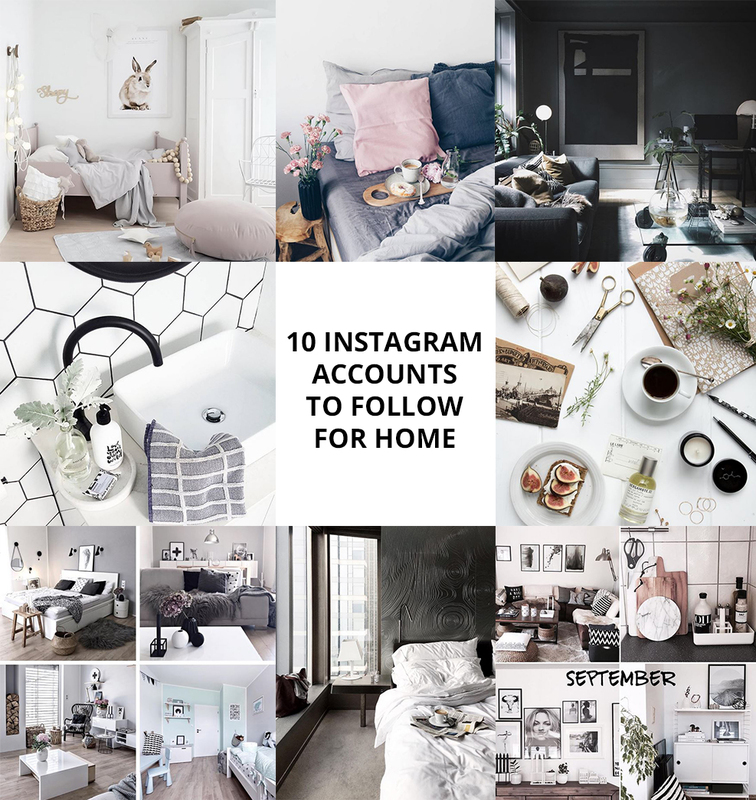 Instagram perfectly fits for inspiration searches and so that searches didn’t last for too long I offer you 10 accounts which are really worth following. I’ll define each of them in brief and wish impressing trip by virtual paths! The photos of exclusively pink, white and grey shades where the child room is the focus as well as the details related to it. This account will indeed be loved by women with romantic soul! The mother of 2 children and French language teacher shares her interior details and food composition on the bed that looks endlessly attractive! P.s. There’re also a lot of colors pink and grey. I was inspired by unite photo mood – subdued deep colors and complete calmness. You’ll find not only interior photos, but also food compositions and the moments from the trips. Katy is the product stylist and it’s perfectly seen. A lot of photos from her own Scandinavian style homes which inspire to live nicer! A W-O-N-D-E-R-F-U-L account and that’s no wonder that it’s followed by 186 000 people! Somewhat indescribable feeling embraces when you look at all compositions and wonderful building facades. Each photo is like a separate art work where the colors are perfectly combined. The ones who wish to learn how to combine colors and the basics for composition – please bravely investigate the account of Julia. A collection of the photos of public spaces, buildings, cities and interiors which brings a very calm mood. The photos don’t provoke to hurry, it’s rather vice versa and I like it so much. Do you know the color with the name “Beige”? Probably yes. This all section is full of brown shades and naturalness. Those who love countryside and homestead will definitely find insipiration. For the lovers of Scandinavian style – an everyday dose for this style interiors. Klara shares her home interior photos. Scandinavian style rules! In addition, the boy’s room is very nice. For those who’re looking for inspiration how to decorate their homes in Scandinavian style I’m offering to look through the photos of Alexandra.